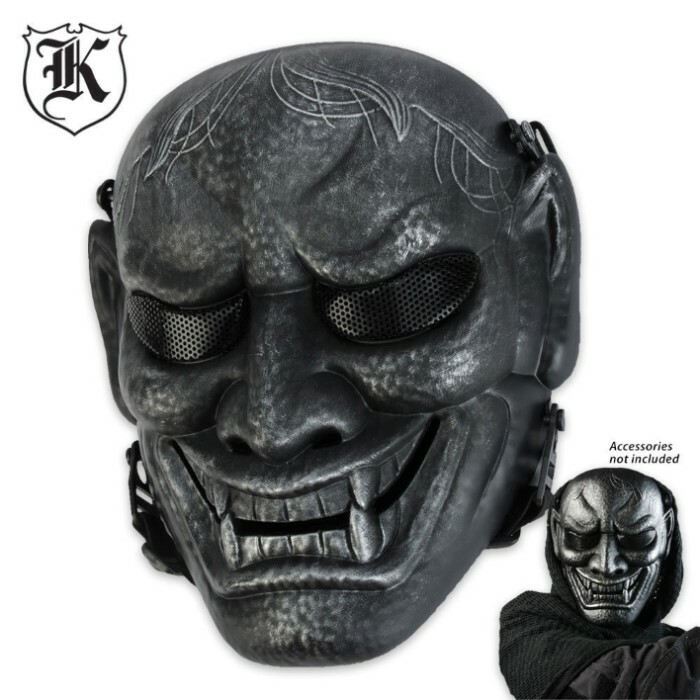 Looking for something more extreme than the typical face mask? 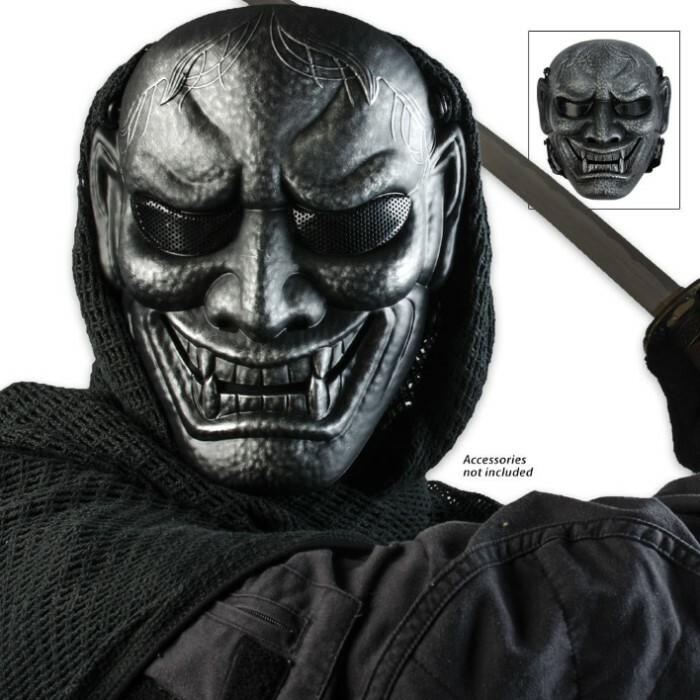 We've literally got you covered with this highly detailed, three dimensional Black/Silver Samurai Warrior face mask! 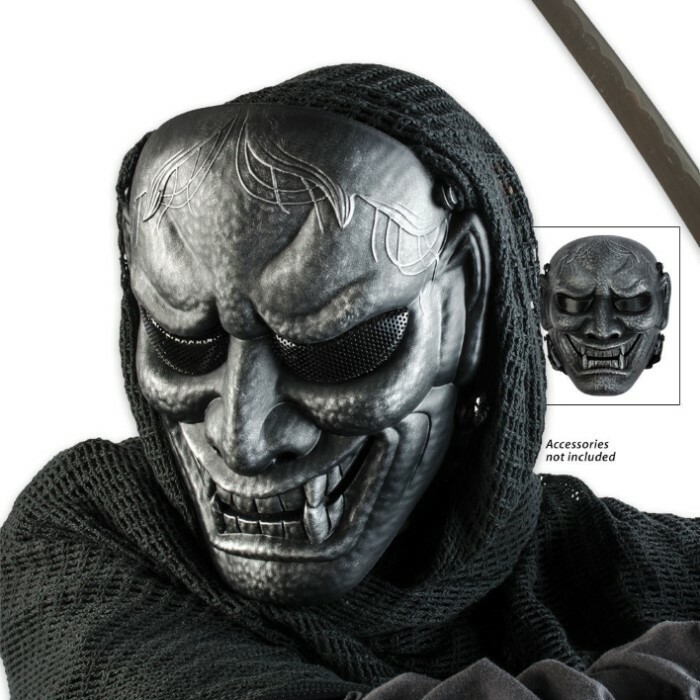 Terrorize your buddies at your next airsoft match with this Samurai soldier skeletal face mask. It is made of super durable ABS composite material with a matte blackfinish. The attention to detail is incredible, and it will convey the seriousness of your game! Fully adjustable; one size.